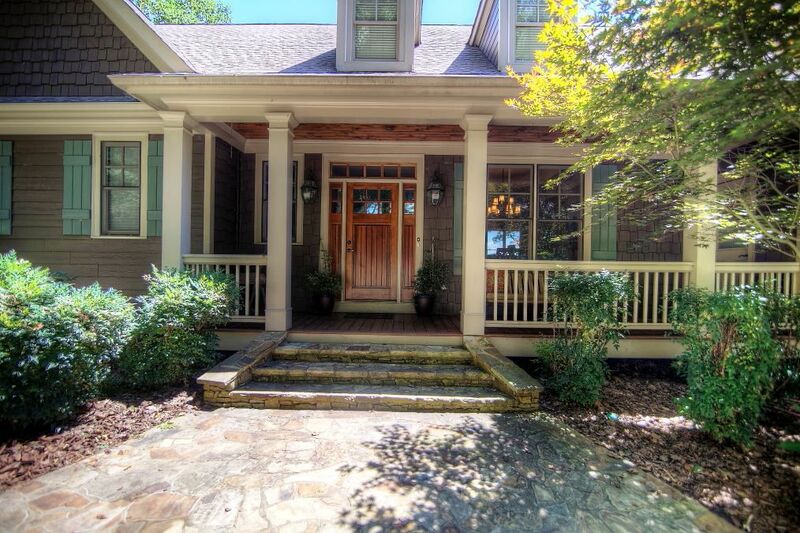 Gorgeous mountain view home in Big Canoe. We just purchased this home and are pleased to share it with you. It was built in 2007 and is located on 2.5 acres. Wake up with the sunrise each morning. Enjoy coffee on the back deck. This house is beautiful inside and out. You will not be disappointed. House has 2 bedrooms on the main floor - the master bedroom complete with large bathroom, glass shower and jet tub. Large walk in closet. Guest room with queen size bed on main floor with full bathroom and walk in closet. air hockey table and a hot tub outside on the porch. Don't miss the hammock and porch swing too! There is also a Stairmaster and a Total Gym located in the storage area on the terrace level. Gorgeous views. Screened in porch. 2 gas fireplaces complete with an inventory of wood, porch swing, hammock, Amazing amenities. We love pets but they aren't allowed at Eagles's Aerie.